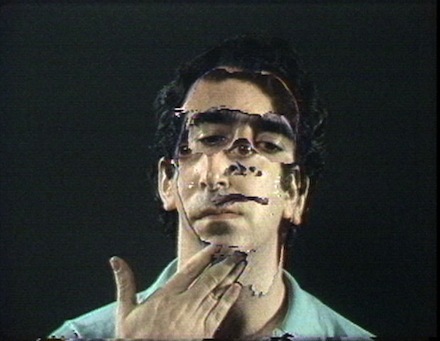 Peter Campus has been working with video art and photography since the 1960s as a major contributor to the burgeoning New York-based video art scene. Throughout the span of his career, Campus has put forth a dynamic and diverse oeuvre, which was showcased last month at now and then, a major retrospective of his work at Bryce Wolkowitz Gallery in New York. We had a chance to sit down with the artist in December and ask him a few questions, included here. 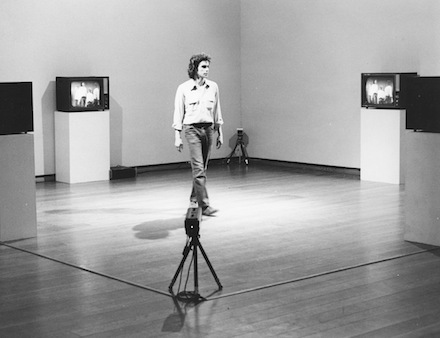 Art Observed: When you began your career, your particular use of technology, along with that of your peers such as Bruce Nauman and Joan Jonas, was at the forefront of the new artistic medium. Can you describe the atmosphere of working in this novel aesthetic realm – how did its technological and conceptual challenges affect your work and shape your idea of art making? Peter Campus: When I first started making art in the late sixties I was working in the New York film business and knew a lot technically. I had been to film school and was well-schooled in camera, film production and editing. I had a professional introduction to video, but we worked in 16mm film mostly, with some work in 35mm film. I thought of video as a medium with lots of possibilities in art-making, and got a camera and started to explore its use. I was friends with an art crowd at the time, with Bob Smithson and Nancy Holt at the center. Joan Jonas was there, Charles Ross, Steven Katz, many others. We were a pretty small group in Soho at the time. There was a video group: Nam June Paik, Frank Gillette, Ira Schneider and Beryl Korot. I wasn’t really part of them. 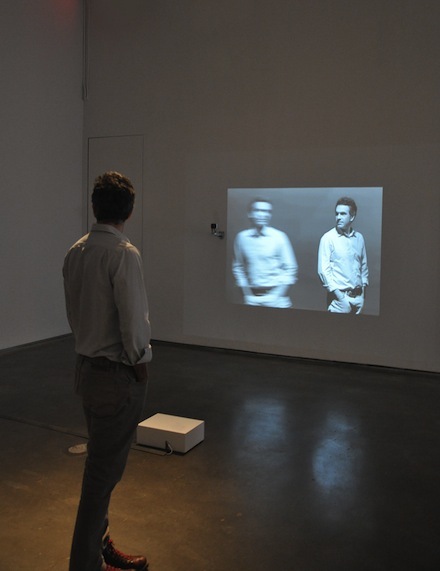 What interested me most was the video work of Bruce Nauman. He used video to do things that film couldn’t do. It was a tool for image displacement. 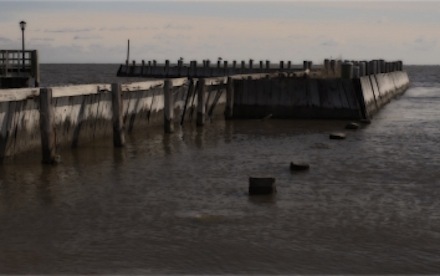 The direction of the video group went toward the Portapak which emulated film cameras. I preferred the surveillance cameras like the ones used in the space program. 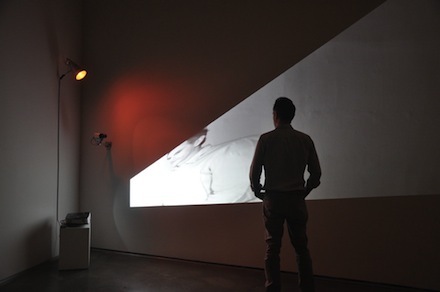 AO: Your early video installations, such as Anamnesis (1974) and cir (1975), on view at Bryce Wolkowitz Gallery, have a uniquely interactive nature that plays with notions of interiority and the self, while your more recent “videographs” appear to look outward at the external world. How do you account for these apparent investigatory differences? PC: My first decade of art-making was in the pursuit of the psyche. I was interested in self, das Ich, the unconscious, the shadow self, das Es and, the conscience, the laws of society, the pressure to control and conform das Uber-Ich. I had studied psychology in school, some work on cognition, and the evolution of the senses. I brought these interests to bear: I thought of my work as illustrative, explorative, a place to see oneself experientially, rather than through the safety of the intellect. Later I went in the direction of the portrait. The search within someone’s face for their thoughts and being. It was interactive as any work of art, the mind of the viewer contributing to its meaning, filling in the blanks, in effect making their own work. [In 1989] I had a show of portraits at the Neuer Berliner Kunstverein on the Kurfürstendamm in Berlin. In Der Tagesspiegel there was a photo of me standing in front of my works, looking just as dark and disturbed as my photos looked. It was time to stop this obsession with my own psyche. I started looking outwards. I went into the mountains, looking to nature to heal my wounded psyche. I traveled along the Delaware River Valley, and then into the Hudson Highlands. Being in nature was an amazing thing; I left the city far behind, and with it my own narcissism. AO: Describe your creative process. How do your works come into being? PC: My camera’s field of vision is the vehicle of my work. I bring my camera to a location, one that is in harmony with the intentions for my art. I am there, in that place, looking for an image that reverberates inside and out. I am looking for a part of the landscape that will express my thoughts and intentions for a small moment, and my larger intentions. I am looking for a work that is in balance. The camera takes a sliver of the landscape, a small bit of time, a restricted field of view. The images implies what is outside, but must express what is within its boundary. The camera is foveal, set within the larger field. It is selective and simplified. It is limited and only my intentions expand its view. I have driven there, to that spot. Not walked, or hiked. Not camped, or spent the night. I have driven there often. Probably for a decade. And to the east end of Long Island since my late thirties. I know the land, and the light. I have swum in the ocean and the bay. I have walked in the dunes and along the beach. I have seen a solar eclipse there. My comprehension of its infinity is part of my life. My camera’s experience is different than mine. It is rigid, compared to the constant motion of my eye. It is passive, and simply records whatever is in front, passed through its lens and onto its cmos chip. I’ve set the shutter speed to one 1200th of a second. I might see a bird flying smoothly across the sky, my camera sees discrete still images reconstructed at 24 frames per second: the bird jerks from frame to frame, frozen in time, accumulated 24 times per second. The camera is apart from me, different, a tool. It’s images are different from my own experiences. It is important not to recreate my experience. The camera adds to my experience by showing something i could not have seen, or known. It increases my sensibility. It expands my senses, and adds something I could not have known any other way. I spend a considerable amount of time composing my image, much as i have done with large format photographic cameras. I stand there lost in it, looking through the camera, moving it this way and that. Picking up the tripod and taking a few steps. Then again. I’ve had my Gitzo tripod for thirty years. My camera is new, and the Leica lenses are new. These lenses are new to me, but not Leitz lenses. I have a particular affection for them, my fixed Leitz lenses. They are perfect for the Long Island light. I’ve used them for years, but i could not ever attempt to say why they are special and different. It is just a quality of light transmission they have. The camera is composed for image and various parameters then left in place to receive images. I know where I want to put the camera, but have no idea of the events it will capture. When the camera is in place, the image arranged, I begin recording. I start timing on my watch. I walk away from the camera and see it stand there in its passivity. I am waiting, watching, being there a little ways away. I am in the present, at that place, a little distant from my camera. I leave the camera on for twelve-and-a-half minutes. While my camera is recording, I relax into my awareness of the land. I am just there. A few hours later I am done for the day. I drive home, not knowing what will be there when I look at the images on my computer. AO: What future projects do you have planned? PC: I have worked on landscape images for thirty years now. It is quiet work, yet work I believe in. It is okay to be obsessed with oneself when young, it might even be expected. But it grows tiring. There is the world out there. If there is an infinity, it is in the moments between birth and death. How much is used is up to each person. 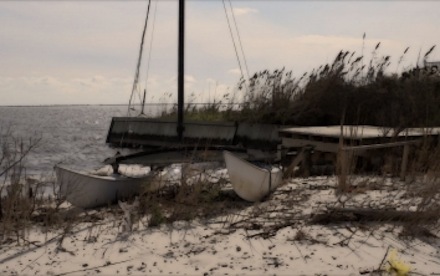 I find my infinity in the colors around Ponquogue Bay, in the changes of light in just twelve minutes, in the most minute differences that I can’t perceive unless I turn off the constant chatter in my mind for at least a few minutes and lose myself into the land around me. 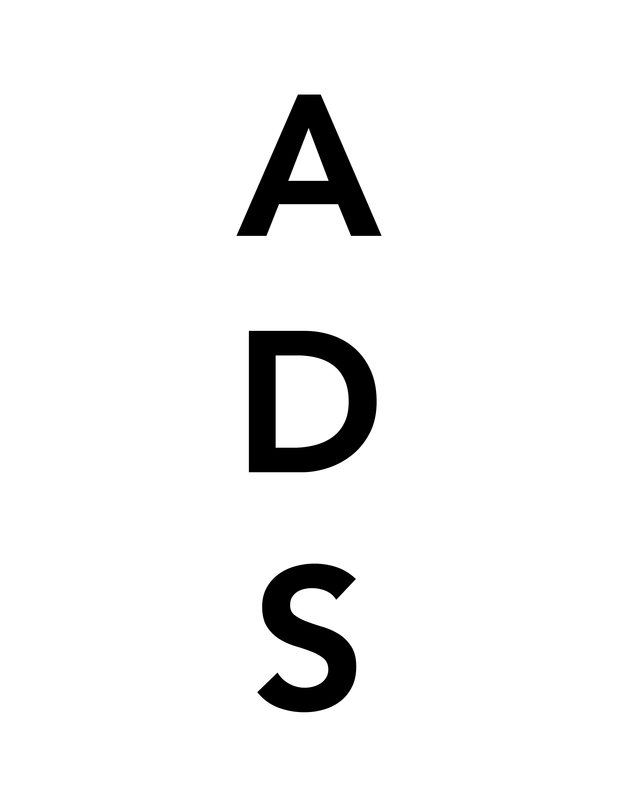 This entry was posted on Sunday, January 13th, 2013 at 10:00 am	and is filed under Art News. You can follow any responses to this entry through the RSS 2.0 feed. You can leave a response, or trackback from your own site.